The coconut is considered to be the ‘Tree of Life’ in the Pacific. The coconut provided wood for shelter and craftsmanship along with being a source of hydration, animal feed and income through copra. It also serves many ecological functions such as a source for shade, protection from the wind, and coastal erosion control. A thriving coconut tree provided Pacific Island families with great prosperity. For many Pacific communities the coconut provided a valuable source of fat to a diet that was generally low in fat as the major nutrient found in the mature coconut is fat. As you read further, you will learn the different types of fats, their essential roles in the body, and the potential health consequences and benefits of diets rich in particular lipids. You will be better equipped to decide the best way to get your nutritional punch from various fats in your diet. Lipids are important molecules that serve different roles in the human body. A common misconception is that fat is simply fattening. However, fat is probably the reason we are all here. Throughout history, there have been many instances when food was scarce. Our ability to store excess caloric energy as fat for future usage allowed us to continue as a species during these times of famine. So, normal fat reserves are a signal that metabolic processes are efficient and a person is healthy. The three main types of lipids are triglycerides, phospholipids, and sterols. 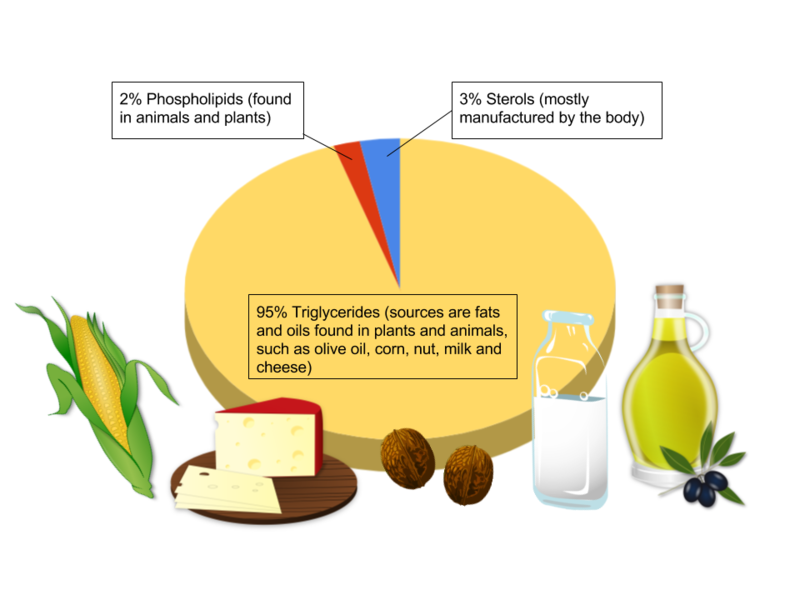 Triglycerides make up more than 95 percent of lipids in the diet and are commonly found in fried foods, vegetable oil, butter, whole milk, cheese, cream cheese, and some meats. Naturally occurring triglycerides are found in many foods, including avocados, olives, corn, and nuts. We commonly call the triglycerides in our food “fats” and “oils.” Fats are lipids that are solid at room temperature, whereas oils are liquid. As with most fats, triglycerides do not dissolve in water. 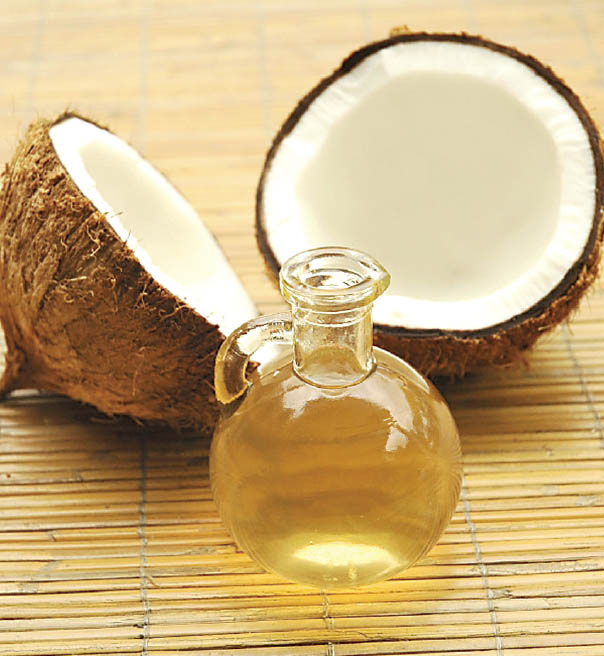 The terms fats, oils, and triglycerides are discretionary and can be used interchangeably. In this chapter when we use the word fat, we are referring to triglycerides.